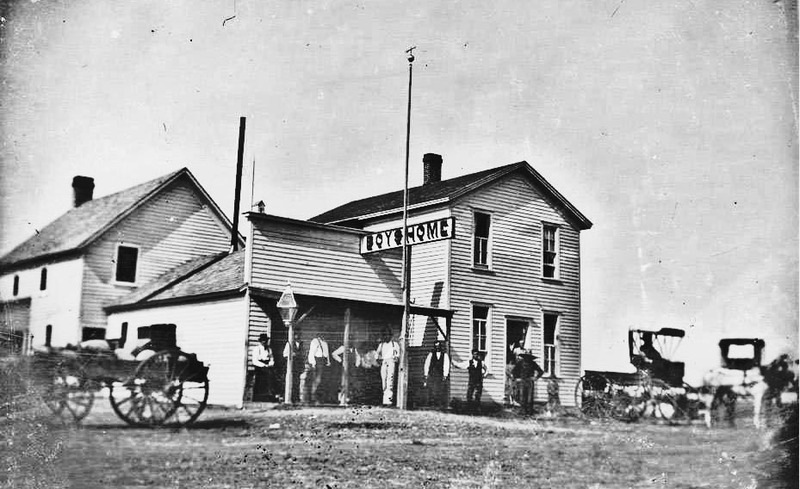 The Boy’s Home Hotel was built in 1873 by George Zeiss who also operated it as a tavern. It was located on the northwest corner of East Fourth Avenue and North Elm Street. The name “Boys’ Home” might have been a bit of a misnomer or was possibly used in reference to men who behaved as boys, because the establishment served liquor. 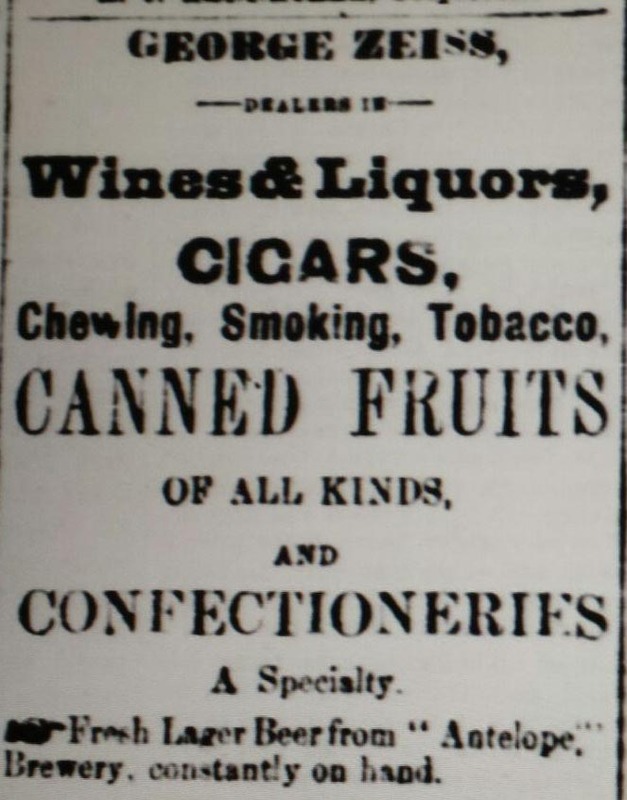 Early day newspaper ads acclaim that the establishment has fresh lager beer from Antelope Brewery constantly on hand, as well as wines and liquors. An 1875 issue of The Red Cloud Chief newspaper makes note that George Zeiss was just going to take his chances on not renewing a liquor license. Whether he did this or not is unclear. Mr. Zeiss died in 1880. His widow, Sophia, sold the business to George and Elizabeth Carnegie Holland in 1883 or 1884.